So, I started testing the Hydro Boost Water Gel as soon as I purchased it, literally the same day because I did not want to be late to reviewing it even one more day. 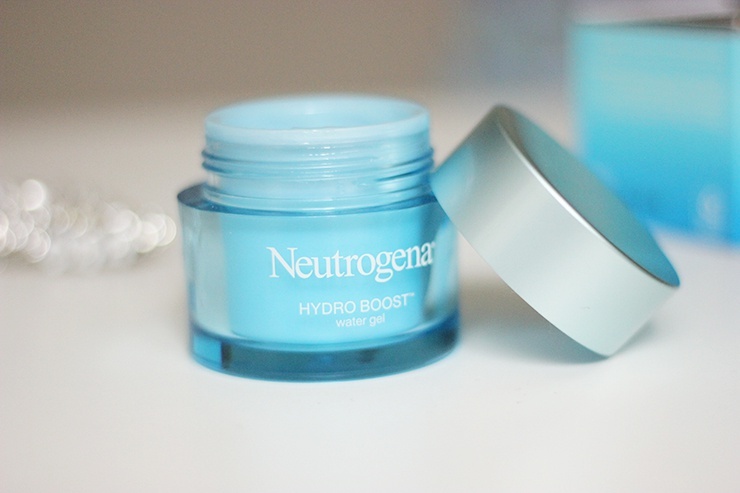 And here it is, a few weeks later, my Neutrogena Hydro Boost Water Gel review. 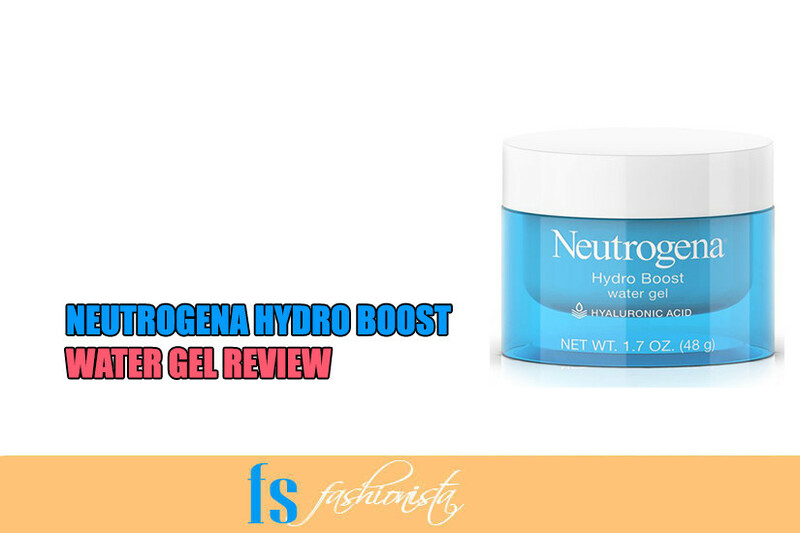 The Neutrogena Hydro Boost Water Gel is definitely quite interesting and much more than just an ordinary moisturizer. Just turn the bottle around, give the ingredients a look and you’ll know what I’m talking about. One of the first things that made me curious about the product was that it has no denatured alcohol at all. Now, that isn’t very usual for gel moisturizers because most drugstore ones contain a large amount of it. Which is why some moisturizers just fail to add actual moisture or hydration to the skin and only last temporarily. Everyone’s skin works differently, but I know that I prefer moisturizers without any denatured alcohol because it just doesn’t dry my skin out and allows it to stay moisturized and hyrdrated for a longer period of time, especially during the winter months. 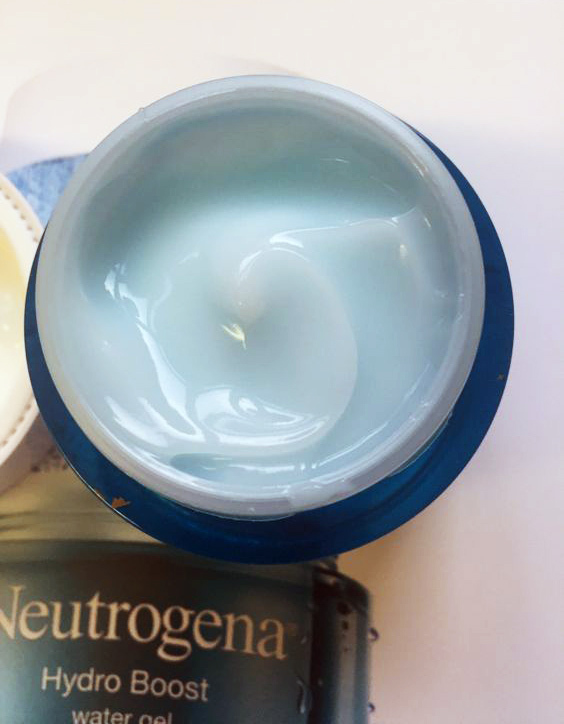 But let’s dive deeper right into the Neutrogena Hydro Boost Water Gel review before I start rambling on about something else. Starting off with its texture, it feels quite fresh and hydrating on the skin. It has a lightweight feel to it and one of the best things about it is that it absorbs so quickly without that sticky or tacky feeling left behind. 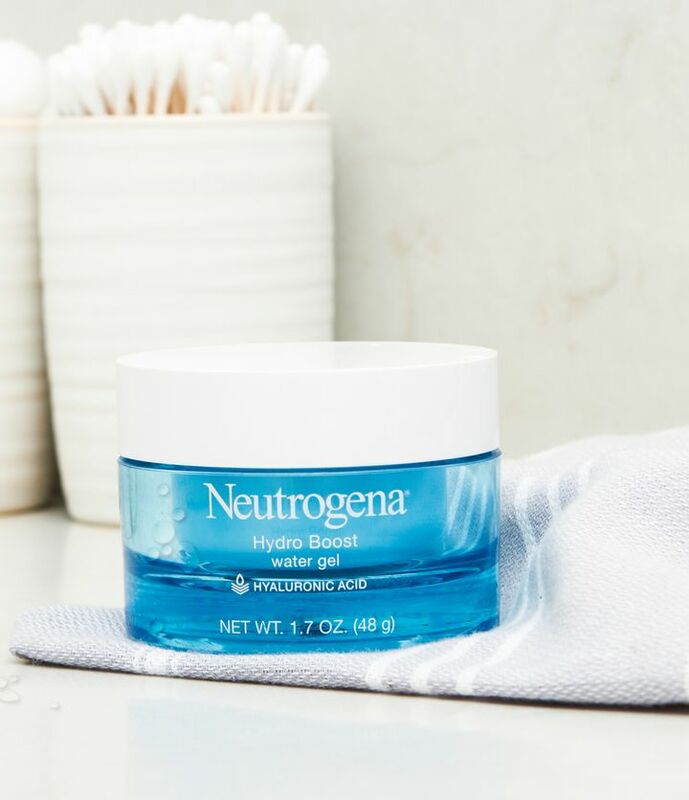 The hyaluronic acid in the Neutrogena Hydro Boost Water Gel keeps your skin moisturized, smooth and supple throughout the day and helps with blending into the skin too. I mean, come on, there’s no one who wants to be left behind with greasy skin and well, make themselves prone to acne and just dirt sticking all over their face. The gel builds a nice barrier that doesn’t just sit on your face, but does its job well. This product has a gel-like consistency. 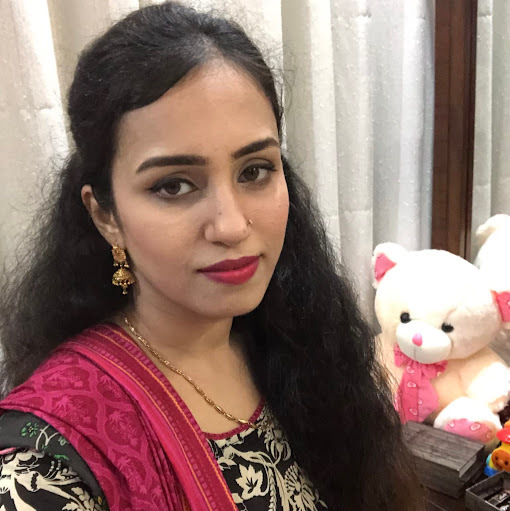 It is not thick at all and sits well on the skin. The only problem that you may have with the product is its packaging. I know there’s a lot of people like me out there that don’t like to dip their fingers into skincare products just for hygienic reasons and this product does come in a tub. If you feel too bad about it, you can always transfer it to a pump bottle. But yes, this is perhaps the only thing that really bugs me about the product. It is priced higher than most moisturizing gels at the drugstore so it’s a little disappointing that the packaging isn’t the best. But it does look beautiful with the translucent blue bottle. The Neutrogena Hydro Boost Water Gel doesn’t claim anything other than adding moisture and hydration to the skin. So, if you are looking for something to help minimize the appearance of fine lines, blemishes etc. this is probably not for you. It can be used in the evening or the morning but I prefer to use it at night right before I’m off to bed. You only need a tiny bit to cover your face and neck. In other words, this 1.7 ounce bottle should last you for a long time. The Neutrogena Hydro Boost Water Gel does have a very clean and fresh fragrance and it is quite pleasing. For people with sensitive skin, it may be too much but for most, it’s going to be pretty refreshing and comforting. At first it may feel a little sticky, but a few minutes later, it will be very soft and smooth feeling and almost feels like a beautiful, light primer. I do use it quite a lot as a replacement for primer and I like it that way. But it’s definitely not as great as a primer, and you’re makeup won’t last as long but for a nice dewy look for a few hours, it’s pretty good. You could use it with your sunscreen as well and mix them both together right before you’re out of the house if you’re not much of a makeup wearer. Like I said above, it is naturally found on the skin and brings pure hydration. Hyaluronic acid acts like a sponge on dried skin cells, and absorbs up to 1000 times its own body weight, gradually releases moisture to the skin, supplements moisture, and keeps it baby soft all day long! I won’t be surprised if you’re starting to fall in love with this ingredient too. Olive extract has antiseptic, moisturizing and antioxidant actions. It is a complex combination of fatty acids and is similar to the natural moisture shield of the skin. Olive extract is integrated into the skin barrier and forms a structure that protects the skin from excessive moisture loss. 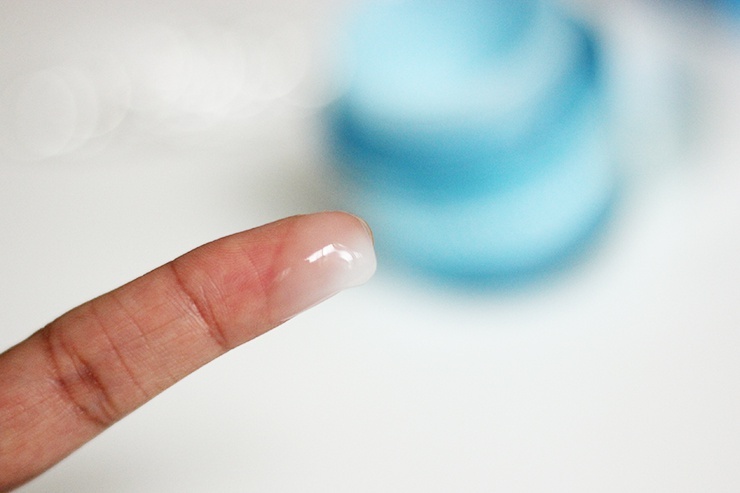 Moreover, it’s not sticky and keeps the skin soft and smooth just like the purified hyaluronic acid. And the Neutrogena Hydro Boost Water Gel also contains dimethicone which is known to make skin very smooth. 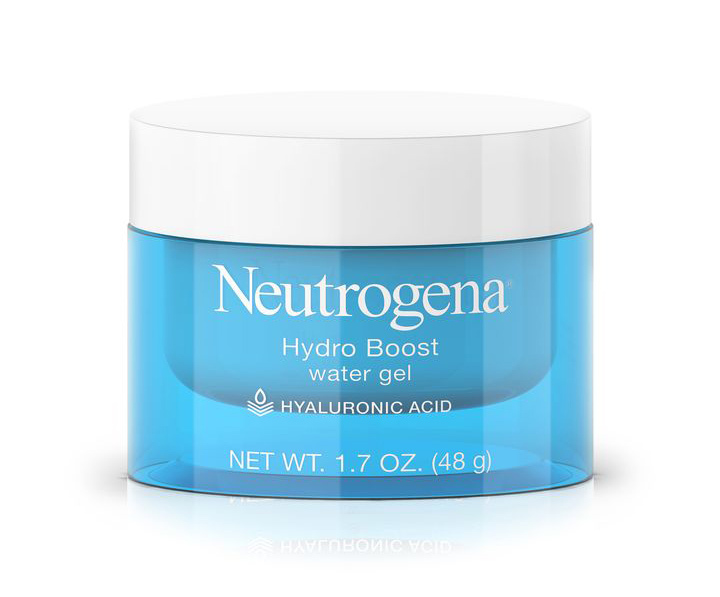 The Neutrogena Hydro Boost Water Gel is a pretty solid moisturizer for oily, dry and sensitive skin. But yes, it has some pros and cons for all. Overall, it’s a decent moisturizer that I would definitely repurchase even the though price is slightly higher than usual. It doesn’t matter what skin type you have, I think this product would work for anyone who’s not at the end of the spectrum with any extreme skin problem. All in all, I love the product. Its fragrance, texture and the results it provides are pleasing enough for me to want to put it on every night. I may not replace it with my daily moisturizer but if I’m ever looking for a nice treat, pamper night or just more hydration, the Neutrogena Hydro Boost Water Gel is a good pick. Neutrogena is a nice brand in general and has a nice variety of quality products so I don’t think there’s much to worry about here. The Neutrogena Hydro Boost Water Gel is a nice moisturizer made by a nice company and it has my trust. Unless you have extremely dry, oily or acne prone skin, I think the Neutrogena Hydro Boost Water Gel should work alright for you and do enough to let you stay hydrated throughout the day. A few images are taken from the following sources.